After his first round 72 left him two shots on the wrong side of the cut line at the Waste Management Phoenix Open, Michael Thompson needed a good round on Friday in order to stick around for the weekend. He played well all day but heading to the tee on the driveable par 4 17th hole, he was still one shot outside the cut line. A great 307 yard tee shot left him sitting a mere 29 yards from the hole just off the green in the fairway. A solid chip left him five feet from a much needed birdie. Michael made the putt and sat at one under par for the tournament just inside the cut. He then went to the 18th tee needing at least a par to make the cut. The 18th hole's difficult tee shot over water is the primary reason the hole is the third most difficult on the course. Michael hit a perfect tee shot 306 yards into the fairway with only 136 yards left to the hole. He hit a nice second shot to the green 17 feet from the hole. He made the putt for a birdie-birdie finish and is now two full shots inside the cut line at -2 for the tournament and his is currently tied for 48th. A few golfers still need to finish their second rounds. It is the first time Michael will make the cut at the Waste Management Phoenix Open. He had missed the cut in his previous two attempts. The made cut was the direct result of his solid second round which included hitting 12 out of 14 fairways and 16 out of 18 greens in regulation. Michael is paired with Sang Moon Bae and Ryan Palmer for the third round. They tee off from the tenth hole at 10am local time (noon ET). Online streaming coverage will be broadcast with Live @ Streaming on PGATour.com from 10am - 7:30pm ET. Golf Channel and CBS will carry the television coverage. The par 3 16th hole at the Phoenix Open is one of the hottest party locations on the PGA Tour. Michael Thompson has made a return trip to the Arizona desert. This week he is competing in the Waste Management Phoenix Open. Known for its huge, and raucous galleries, the Phoenix Open is one of the more unique stops on the PGA Tour. 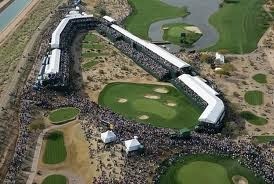 Over 500,000 people are expected to be in attendance over the four day tournament at TPC Scottsdale - by far the most of any PGA Tour event. This is the one stop on tour were open heckling, both good and bad, is not only tolerated but almost encouraged. Players and their caddies often hand out goodies to the fans in the stadium surround the par 3 16th hole to help gain crowd approval. A player not bearing gifts can be met with plenty of cat calls. A missed green will bring lots of boos but a great tee shot will be met with huge cheers. Michael will be playing with Martin Laird and Mike Weir for the first two rounds. They tee off round one on Thursday morning at 10:33am ET (8:33am local time). Michael Thompson and the rest of the PGA Tour will make their second, and final, stop in Hawaii this week as they hit the island of Oahu for the Sony Open. The narrow, palm lined fairways of the Waialae Country Club demand accuracy off the tee. Two years ago, Michael finished in a tie for 6th in this event. 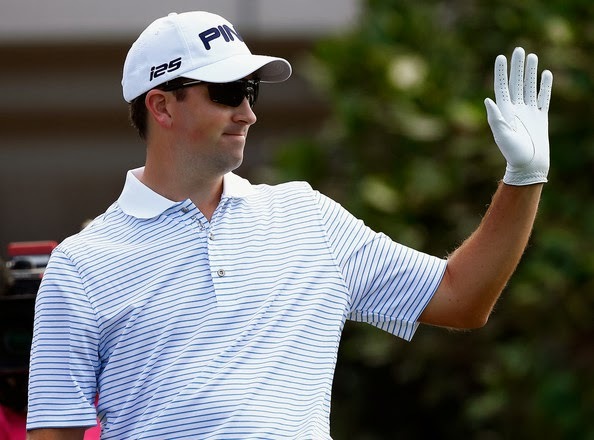 After his great showing at the Hyundai Tournament of Champions last week, Michael will look to keep moving up the OWGR list in hopes of getting into the WGC Accenture Match Play event in February. The top 64 players in OWGR to accept invitations to that event will gain entry. 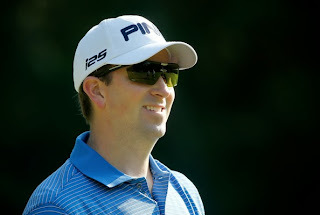 Michael will play the first two rounds with Stewart Cink and Marc Leishman. The trio will tee off for round #1 from the tenth hole at 12:30pm local time (2:30pm PT) on Friday. 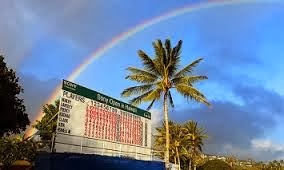 The Sony Open will be televised exclusively on the Golf Channel. Here is their broadcast schedule for the tournament. Michael Thompson finished the Hyundai Tournament of Champions tied for 16th after a final round one under par 72. He finished the tournament at ten under par. If you want to see some encouraging signs for Michael's 2014 PGA season you don't have to look far. He tied for the best first round score at -7. He finished first in driving accuracy at 86.67%. That corresponds to 52 out of 60 fairways hit for the week. Did I mention that was FIRST in the field? He was seventh in driving distance. 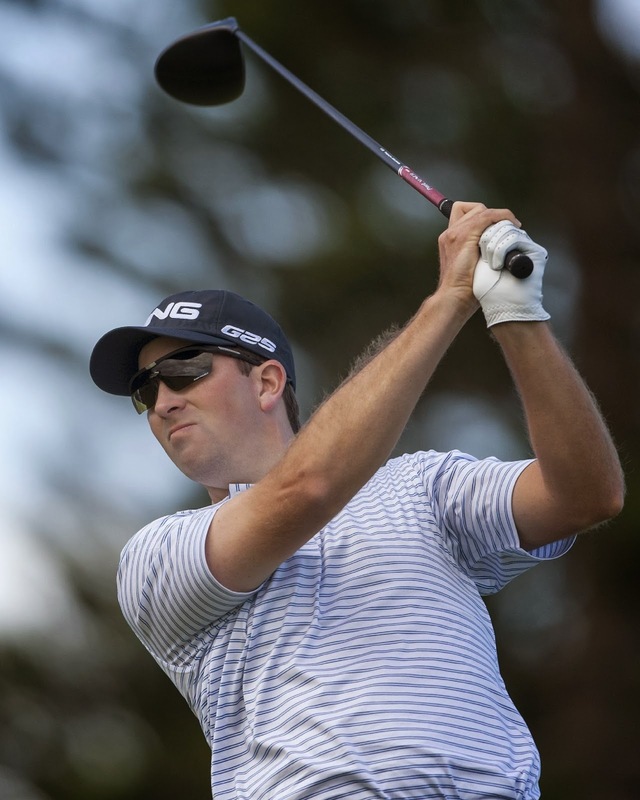 Michael put the new Ping i25 driver in the bag this week and based on the results it looks like it's a keeper. He was tied for 2nd in greens in regulation hitting 60 of 72 for the tournament. Surprisingly, his middle of the pack finish came down to some uncharacteristic poor putting in the final two rounds. Since Michael is a fantastic putter look for his putting to rebound soon. If he can improve his driving accuracy and GIR like he did this week, 2014 shapes up to be an exciting year for Michael and his fans. 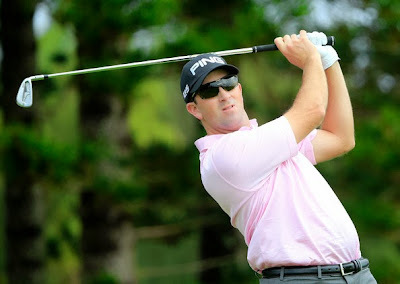 Michael Thompson plays a shot on the 13th hole during the third round of the Hyundai Tournament of Champions at the Plantation Course at Kapalua Golf Club on January 5, 2014 in Lahaina, Hawaii. Sometimes it happens. 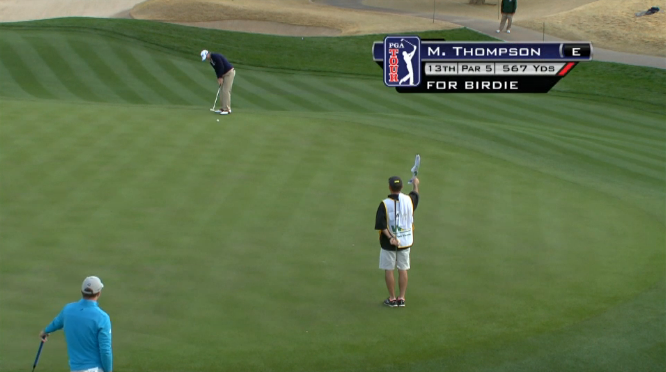 On Sunday, Michael Thompson's putter went cold in balmy Hawaii. He started the day off with two three putt bogeys and was never able to get any significant momentum going from there. In the end, he was able to fight back and salvage a par 73 for the round but that dropped him down the leaderboard a bit into a tie for 12th. He'll look to regain some of that Aloha magic in today's fourth round. He will once again be paired with Brian Gay and they tee off at 9:50am local time. Michael Thompson followed his seven under par first round at the Hyundai Tournament of Champions with a solid two under par second round to hang around the top of the leaderboard. His -9 total after two rounds has him in a tie for 5th. He is just four shots off the lead of Zach Johnson. His round was highlighted with a remarkable 99 foot birdie chip from the rough on the eighth hole. The video can be seen below. His round could have been even better if his golf ball had been a little more cooperative. He had a couple of putts all but fall into the cup before they decided to lip out. Michael will be paired with Webb Simpson for the third round. They will tee off at 12:19pm local time. Tomorrow's television coverage will be split between NBC and the Golf Channel. Michael birdies the 8th hole during the second round of the Hyundai Tournament of Champions. Michael Thompson started 2014 with a bang. Shooting -7 in the first round of the Hyundai Tournament of Champions, he's tied for 1st along with Chris Kirk, Webb Simpson and Jordan Spieth. He got a lot of television time on the Golf Channel today, so if you missed it you may want to watch or DVR the replay which starts at 7:30 PST. Michael's first round included 12 of 15 fairways hit in regulation and 16 of 18 greens in regulation. This marks the second time Michael has been the leader/co-leader after the first round on tour. You might recall that he jumped out to a solo lead after the first round of the 2012 U.S. Open en route to his eventual T2 finish. The Tournament of Champions differs from most PGA Tour events in that pairings for the second round are reset based on the current standings. Michael will tee off with Chris Kirk in the last group of the day. They tee off at 9:50am HAST. The 2013/2014 PGA Tour season really gets into full gear this week in Maui at the Hyundai Tournament of Champions. Michael Thompson will be joining 29 other Tour winners from last year at the Plantation Course at Kapalua for a four round, no cut event. Kapalua , known for its length and its scenic vistas, boasts an unusual par 73. Unlike last year, the tournament is expected to be played in fairly good wind conditions of 20 MPH as a storm passes through Friday and clears on the weekend. 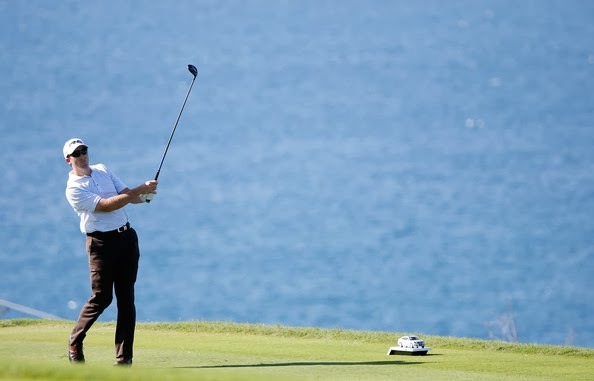 Michael has already logged two official PGA Tour events in the 2013-14 season, reflecting a change to incorporate portions of the Asia Tour into the FedExCup race. His T35 and T50 in the fall part of the season currently has him at 114th on the FedExCup points list. Michael will be looking for strong finishes in early 2014, as he works toward a place in the Accenture Match-Play event in February, which is limited to the top 64 players on the OWGR list. Michael tees off at 11:00am (Hawaii-Aleutian Standard Time) with fellow competitor Brian Gay on Friday.